I use art to express my deepest feelings and thoughts about women’s issues to a global audience. This is accomplished by exploring my objection to unjust actions towards women, especially in Middle Eastern countries. My thesis is that despotism makes existence extremely difficult and even suffocating for women by creating hardships in every aspect of their lives. 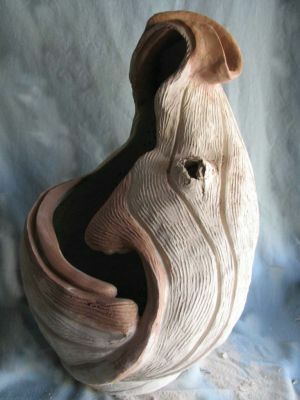 My works include paintings and sculptures. Currently, I am creating a series entitled The Resistance (The Agony of The Paisley). This series includes paintings as well as several sculptures made of clay combined with metal, felt and embroidery. The Paisley symbol reflects Persian culture since it was created in Iran. In my art works, this symbol plays a human role as a Zoroastrian symbol of life and eternity. On the other hand, the Paisley symbol also resembles a tear drop, which I use to represent the tears shed by women over a period of many years. 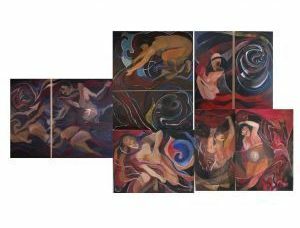 My paintings usually include two or more related panels displayed next to one another, creating a unified image with an underlying theme. My use of the Paisley symbol in red and black expresses rage, hatred, the bloody sense of war, insecurity and desperation. The dark symbols show oppression while others symbolize women’s power over their own fertility and life choices. In my paintings, the Paisley symbol is shaped like a woman, who is twisted and intertwined with her surrounding. The black hole is a symbol of hardship that pulls women down into a whirlpool of darkness. However, the females in each painting make a strong effort to uncover the veil forced upon them so they can become visible and powerful in the external world. The Paisley symbol is struggling to become free of its shackles and wounds; it challenges women’s suffocating environment and fights the despotism and cruelty she has confronted for years. In such cases, one can recognize the Paisley symbol in various parts of the female body as well as in the environment. This is my effort to show women trying to break free of enforced passivity. The sculptures are also formed like a Paisley symbol. They are a combination of clay with a surface of embroidery that symbolizes the strong character of a woman with her sensitivity of the world. While one can see the beauty of the form and eastern decoration in the sculptures, one can also see the wounds from years of suffering. Susan Karhroody was born in Tehran, Iran. Her interest in art, especially in human life and nature, was fostered by Persian culture. She attended Tehran University, where she received her BA in fine art. Her area of concentration was in drawing and painting. 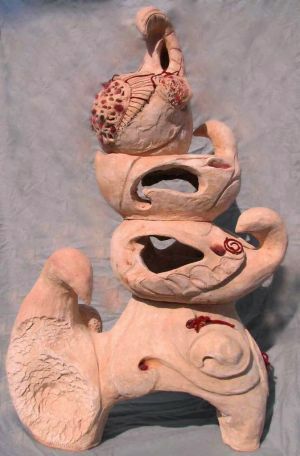 In 1997, Karhroody moved to Southern California and continued her studies at California State University, Northridge, where she received a MA in sculpture. She currently teaches art at the Valley Village School for Disabled Students. 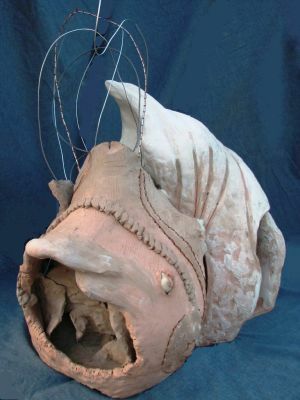 As a sculptor and painter, Karhroody mainly creates modern semi-representational pieces—often using clay, wire and felt in her three-dimensional works. She has been highly influenced by the issues of oppression with which Middle Eastern women have been struggling for years.